Hey Defenders! Welcome to our cuddly party area. We understand that most of our beginning defenders are a little bit squeamish when it comes to some of our mixed and reptile defender party packages. Don’t shed a defender tear because we have the perfect cuddly parties for your birthday defender and their defender guests. Our cuddly defender parties are loaded with all kinds of fur-tastic animals, like hamsters, guinea pigs, chinchillas, rabbits, ferrets, chickens, ducks and whole lot more. It’s the softest most adorable defender package in town. 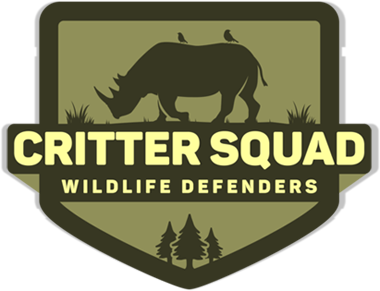 Anyone and everyone loves the Critter Squad Wildlife Defender cuddly parties! Did you know that a guinea pig is also called a Cuey? That a Flemish Giant rabbit can weigh over 20lbs? Or that ferrets do a war dance when excited? What about petting a real LIVE opossum? The Cuddly Defender Party PLUS is our second most booked defender party behind the Mixed Defender Package and that’s because people can’t get enough of our cuddly defender ambassadors. The Cuddly Defender Party MINI is an amazing, yet short visit from some of the most cuddly animals here at Critter Squad Wildlife Defenders. Our enthusiastic educators and cuddly animals create such unforgettable experiences that the defenders at your party will have no idea you chose the smaller cuddly package! This petting zoo style, cuddly defender party is loaded with bunnies and only bunnies! Your birthday defender and their defender guests will be be able to enjoy and explore the world of bunnies at their own pace. The mix of perky and playful rabbits will keep any defenders busy for hours to come. *Be sure to look at our “food bag” add-on to add greens, carrots and pellets to any bunny party. And ask about our special discount on this party during the week of Easter! Don’t see what you like? Call us and ask about our Mix It Up Party!